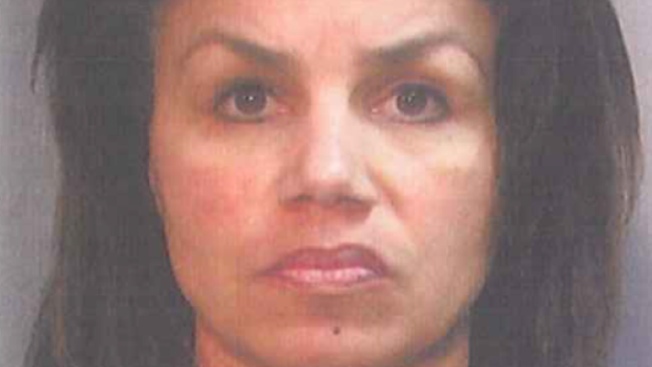 Teresa Gilmete Badger pleaded not guilty to "poisoning" her colleagues with marijuana-laced food. A Benicia school teacher has pleaded no contest to a misdemeanor count of furnishing marijuana at an after-hours employee potluck dinner in November. Solano County Superior Court Judge Tim Kam sentenced Teresa Gilmete Badger, 47, of Benicia, to two years' probation and 50 hours of community service, Badger's attorney Elizabeth Grossman said Wednesday morning. Badger pleaded no contest on Monday at a conference to set a preliminary hearing date, Grossman said. A felony poisoning charge in the amended complaint against Badger was dismissed and Badger remains on leave from her teaching job at Matthew Turner Elementary School in Benicia, Grossman said. "Teresa is an excellent parent, wife, friend and community member," Grossman said. "She acknowledged making a great error in judgment and an appropriate and just resolution was reached in Vallejo Superior Court. I hope that she and the community can move forward, forgive her and offer a new opportunity to be a successful member of the community," Grossman said. Two people went to the hospital after eating the food at the potluck dinner at a Benicia residence on Nov. 21, Benicia police said. One woman was rushed to the hospital for treatment and another woman with chest pains and other symptoms went to the hospital the next day, police said. THC, the psychoactive ingredient in marijuana, was found in her blood, police said. The Benicia Unified School District's superintendent notified police about the incident on Dec. 4 and an investigation determined Badger was responsible for bringing food to the potluck, Benicia police Lt. Frank Hartig said. Several people reported varying effects of possibly being under the influence, Hartig said. One of the employees who attended the dinner took food home that was eaten by a juvenile who also experienced the same symptoms, Hartig said. Police were told Badger allegedly admitted her involvement to people who were at the party, Hartig said. Badger declined to speak to police officers about the incident when she was arrested, Hartig said. The school district cooperated with police during the investigation, he said.